Apple had their October 2012 media event a few hours ago. It had both great and some disappointing product refreshes and launches. Here's a quick summary. This time around, Apple has completely shuffled around their product refresh schedules. They have truly made a few bad decisions without Steve Jobs, at least in my opinion. But that's to be discussed in another post. The widely-anticipated Mac Pro refresh still isn't here. But Apple did update three Mac product lines. They started off by announcing a new, spec-bumped Mac mini. It still starts at $599 (and a server version at $999) but it is "twice as fast". New Mac mini models come with Intel's Core i5 and i7 Ivy-Bridge processors. The higher model comes with a 1TB hard drive, which can be upgraded to a Fusion Drive if customized online. I will explain Fusion Drive in a minute. Mac mini now has USB 3.0 and Thunderbolt ports. iMac got a major design refresh. It looks the same on the front, but when viewed at an angle, it looks super-thin. Apple's presentation (which was streamed live) was highly misleading. Phil Schiller touted the thin edge, but didn't talk much about how the computer gets thick in the middle. Nevertheless, the new iMac design is gorgeous. It was my second favorite announcement this morning. 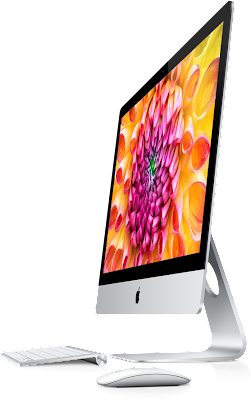 it comes in the same 21.5-inch and 27-inch models and starts at $1299 for the 21.5-inch 2.7 GHz i5 model. The iMac announcement also had another highlight: Fusion Drive technology. Apple seemingly wanted to have flash storage in the iMac, just like MacBook Air and Retina Display MacBook Pro models. But that would be expensive. So they designed this new innovative way of marrying a hard drive to flash storage. iMac (and Mac mini) can come in models with Fusion Drive, which has a terabyte or so of HDD and several hundred gigabytes of flash storage. However, all this storage appears to be one volume in the software. The storage is allocated in a way that frequently used data like software and boot files are stored in flash memory so everything works really fast. Documents and other data go to the hard drive. This gives nearly flash-level performances at lower price points. We now come to my favorite announcement from the event. 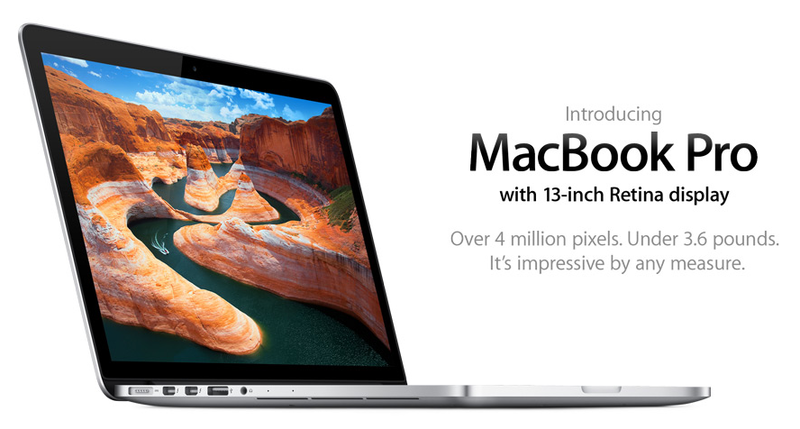 Apple announced a brand new MacBook sub-line today - the 13-inch MacBook Pro with Retina Display. It's thin and light like the 15-inch counterpart and does not have an optical drive. It does have the HDMI port and starts at only $1699, which is quite affordable for what you get. Of course, the regular, cheap MacBook Pro line still lives. We have three MacBook lines again: "MacBook Air", "MacBook Pro"and "MacBook Pro with Retina Display". If only they had done this earlier, I would not have purchased the regular 13-inch 2012 model. As anticipated and widely predicted, there was a smaller iPad in today's announcement. But there was also another surprise - the 4th-gen iPad. Now, there are three iPad lines available: iPad 2, iPad mini and "iPad with Retina Display", which is similar to the MacBook lines. That's what Apple calls it. They replaced the new iPad with the 4th iPad. You read it right. The "new iPad" from earlier this year does not exist any more. They are still selling the iPad 2 alongside the 4th-gen model. I say that this is not really a true iPad 4, but rather a minor upgrade like what most people considered the iPhone 4S to be. I would call this one the iPad 3.5, because really, there's not much to talk about. The only apparent differences are the new A6X chip, which is half a step ahead of the iPhone 5's A6 CPU and the Lightning connector. To me, the 4th-gen iPad seems like a small excuse to shove in the new connector into the 3rd-gen model. Of course, there was the hugely rumored iPad mini. Phil Schiller compared the smaller iPad to Google's Nexus 7 (calling it "an Android tablet"). Now, the iPad mini runs all the apps that the regular iPad runs because it has a screen of the same aspect ratio. Schiller compared app design with Android apps, which are not always custom-designed for bigger screens. Many people hated this bashing. But the iPad mini is a pretty cool device. However, there are reasons to be disappointed. Unlike what some people predicted - including me - Apple did not market this product toward a certain market, such as students. They just seemed to show how it is a lot more convenient to carry around a smaller device. iPad mini is really thin (7.2 mm) and extremely light (about 300 grams; 0.68 lb). You can easily carry it with one hand. They showed how it's easy to read books on it (I still prefer my Kindle, thank you). It comes in White & Silver and Black & Slate like the iPhone 5. There are new, smaller Smart Covers for it. However, it is widely accepted that this iPad is too expensive than what most people would have liked it to be. People will buy it anyway, since it's an Apple product. But I expected more competitive prices. 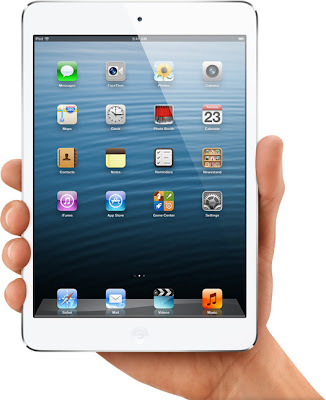 Unlike the Nexus 7, which starts at $199, iPad mini starts at $329 for the 16 GB Wi-Fi model. This does not make it a compelling product at all for me. But it's convenient for frequent commuters, especially with 4G and it makes a sleek web-browsing/book-reading device. iBooks was one of the smaller highlights of the event. Early on, Tim Cook introduced a new version of iBooks, which will be released today. It has support for continuous scrolling through books, support for Japanese, Chinese, Korean languages (making the total languages 40) and the iBookstore is available in 50 countries now.